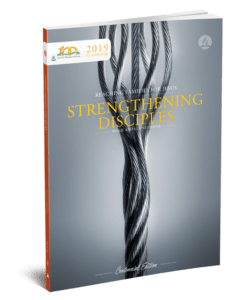 The Department of Family Ministries seeks to strengthen, inspire hope, and bring healing to marriages, families, and individuals through the abundant love and saving grace of Jesus Christ. Prepare families for the Kingdom of God to help hasten the coming of Jesus Christ. These statements were adopted by the Department of Family Ministries World Advisory, March 20-24, 2011.